When a man turned to an online forum for answers about his wife's seemingly faulty Fitbit fitness tracker, he learned he was in for more than a product replacement. He posted a note on Reddit recently asking if anyone knew why his wife's heartbeat readings might be so high. Using the handle YoungPTone, he wrote, "She logged 10 hours in the fat burning zone, which I would think to be impossible based on her activity level." He noted that her calorie burning seemed to be in the normal zone. "I'm not sure if something is wrong with the sensor. Is there a way to reset or recalibrate the device? I'd like to try that before I contact customer service about a possible replacement," he asked. Another Reddit user had a different idea and asked if she could be pregnant, because pregnancy can raise a woman's heart rate. The husband replied, "Pregnancy is a strong possibility, didn't know that would jack up the heart rate. I might be a dad, YIKES. Now I gotta watch my own heart rate lol." She took a home pregnancy test, and YoungPTone returned to Reddit a day later to share the big news. "I'm going to be a dad!" A quicker heart rate is indeed a possible sign of pregnancy, according to Beth Israel Deaconess Medical Center experts, who say on their pregnancy site that when you become pregnant your heart has to work harder than ever, cardiac output is dramatically increased and heart rate and blood volume increase. "Your heart rate may increase by 10 to 15 beats per minute, or more. Blood volume goes up by 40 to 50 percent during the first trimester and remains high throughout your pregnancy," their website says. 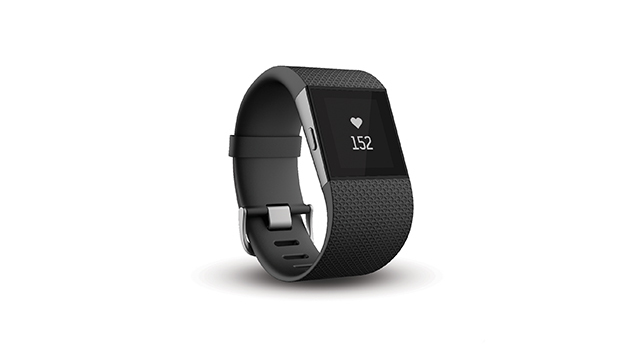 While YoungPTone expressed gratitude regarding the Fitbit heads-up, doctors probably wouldn't recommend leaving pregnancy detection in the hands of a fitness tracker. Moreover, Fitbit is facing a lawsuit from a number of users who say that the company's health tracking devices have accuracy problems when it comes to monitoring heart rates. YoungPTone hopped back on Reddit to thank the online community. "Thank you all for your overwhelming support! It's been awesome to read all the comments and well wishes, even the comments questioning whether I am in fact the father (gotta have a sense of humor on here, right?). I just wanted to say this is indeed real, I do not work for Fitbit, this is not guerrilla marketing. This is real, the fear is real, the excitement is very real! I am a regular guy who was just looking for the communities help with his wife's technology issue (we've all been there, right?). Little did I know I got a lot more than I bargained for! Now I'm a regular guy who is preparing to have his first child brought into the world, god willing, in Oct 2016."